Pie and Pastry Bible Goes Into 6th Printing! It's always so reassuring to remember Julia Child's words from years back when she told me that it took about 28 printings of her first book to get all the corrections made. Of course one is most fortunate to have this many printings. But even having one's cookbook sell through the first printing and go into a second is an achievement! 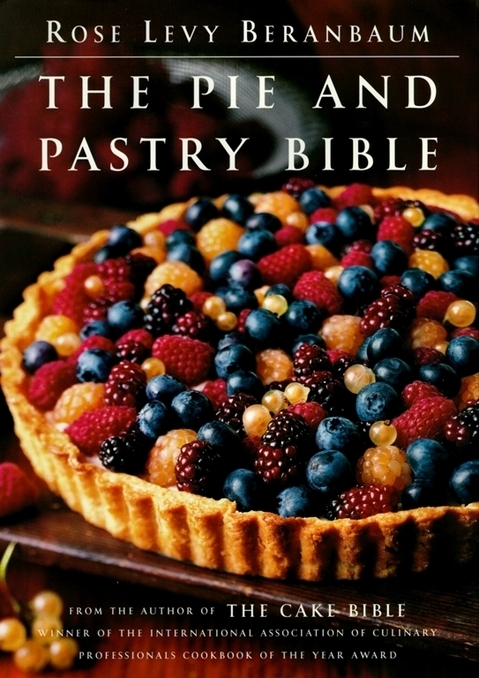 I just reviewed the new 6th printing of the Pie and Pastry Bible and can tell you, with great joy, that every single little tweak has now been integrated, so anyone who gets this or a later printing can ignore the errata link on the blog home page! And thank you all for your help in reaching this stage. Also, I just discovered that this book has been an E book for Kindle since December 09! Ask anyone who has written a large cookbook, especially a baking book, and they will tell you it's like giving birth but beyond that, I have to say it is like climbing Mt. Everest. There are moments one wants to jump off the mountain, but finally, when one is handed that first copy, it is positively celestial. And it never ends. With each new question or comment you make I am rejoicing again and again at the pleasure of sharing all these hard won and beloved recipes. This is pie baking time. Think apple, pear, pecan, pumpkin, cranberry--all seasonal favorites to make the holidays extra special. And for the cake lovers, be sure to try the pumpkin cheesecake (recipe on this blog).